Aaron Swartz: Casualty in Guerilla Information War? Aaron Swartz, formidable Internet programming pioneer and open information advocate, died on Friday in an apparent suicide. He was 26 years old. Swartz was the subject of a federal felony hacking prosecution and faced up to 35 years in prison. The charges were brought in 2011 after Swartz entered a Massachusetts Institute of Technology (MIT) computer room and downloaded nearly five million scholarly journal articles from the nonprofit digital database JSTOR. JSTOR asked the federal government to drop its case after Swartz returned the data. MIT, which contacted federal authorities after the breach was discovered, declined to do the same. A trial was scheduled for April of this year. Swartz was a moving force in many fields and who some considered a genius. At 14, he co-created the RSS automatic syndication tool and he later helped found the hugely popular electronic “bulletin board” style site Reddit. Swartz supported and developed numerous initiatives to chip away at restricted access to—and commercialization of—information, including the grassroots lobbying group Demand Progress. 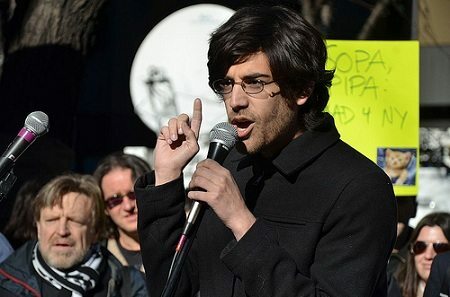 Swartz was instrumental in shouting down the proposed SOPA/PIPA legislation by citing Internet-censorship concerns. Swartz’s death gives us pause to look at the ongoing push and pull over free versus commercial access to information. Which camp has the momentum? It’s hard to tell. Governments continue to pursue data “pirates” such as Swartz, WikiLeaks leader Julian Assange and the “white hat” hacker group Anonymous. Meanwhile, academia is gathering courage in a nascent shift, dubbed the Academic Spring, to advocate for open access to scholarly research. Some researchers are boycotting journals that are not open access.